This clock kit was exactly what I was looking for. 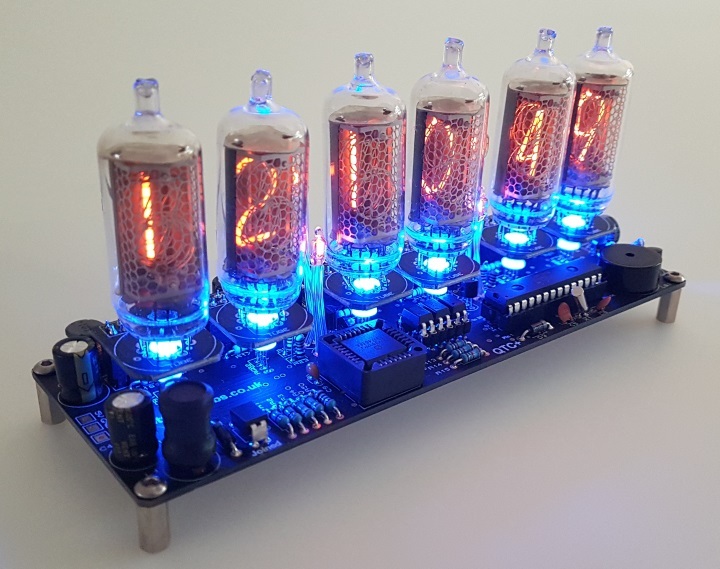 I looked at numerous nixie clock kits online, but was really sold on the QTC kit's use of a separate mount for each tube to make swapping and replacement easier. I am a complete beginner when it comes to understanding and assembling electronics, but the directions and circuit board were easy to understand and I had absolutely no problems. Also, communication with Pete was first rate both before and after my purchase. Date Added: 07/31/2017 by Andrew D.